Good books on Celtic history, Shane MacGowan, and what the Irish world was like when our ancestors emigrated. 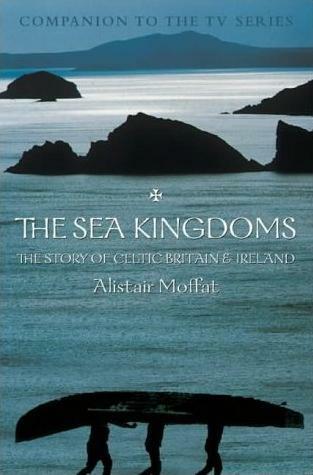 The Sea Kingdoms: The History of Celtic Britain and Ireland. Alistair Moffat. Harper Collins, 2002. 316pp. I was intrigued out on Kapiti Island a few years ago when a friend explained why the island was such a great stronghold for the Maori chief Te Rauparaha. Kapiti commanded quick and easy access from Taranaki in a huge arc down the Wanganui and Horowhenua coasts, across the top of the Marlborough Sounds to the western end of Golden Bay. With the land so densely forested the sea was not a barrier but a highway for a seafaring people such as the Maori. Moffat, a writer and TV producer, draws on myth, music, place names, history, language and religion to define what it means to be Celtic, ‘to think and behave in ways that are different from the British habits of mind’. If you’ve ever felt the call of something Celtic, this is the book to read. It will intrigue and draw you in, and give you a sense of seeing the world in another way. ‘The best picture of the Celtic race yet written,’ according to the South Wales Echo. A Drink With Shane MacGowan. Shane MacGowan and Victoria Mary Clarke. Grove Press, 2001. 360pp. 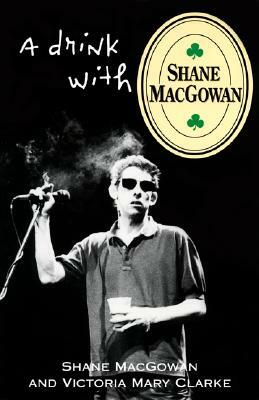 Shane MacGowan was a key figure as Irish music was swept into the 20th century. Co-founder, lead singer and songwriter for the Pogues, he led a new era in music that broke from the clean-cut crooning of Irish tenors such as Patrick O’Hagan. MacGowan created wild and lyrical songs with electric guitars, pipes, whistles and accordians to stir the Irish soul of a new generation. This book consists of an extended interview with MacGowan by his live-in girlfriend, Victoria Mary Clarke. A Guardian reviewer says that’s one of its weaknesses, a cosy set-up unlikely to lead to a dispassionate assessment of the man and his music. The reviewer also, correctly, slams a self-indulgent chunk of the book where MacGowan rambles in ‘hapless repetition’. Some incoherence is probably not surprising in someone who claims to have drunk two bottles of stout a day from the age of five. It’s one of many reminiscences in the book’s best part, early on where he talks about his upbringing by his aunts, uncles and granny on a north Tipperary farm. Uncle John brought the stout home from the pub. MacGowan was five too when, with his Aunty Nora, he put his first bet on the Irish sweepstake. ‘They believed in letting the child do what it wanted, as long as it went to Mass,’ he says. Their hearts in Tipperary wherever they go. Incidentally, the Guardian reviewer in 2001 described Macgowan as ‘a pop phenomenon in terminal decline’. MacGowan might chuckle at that when he plays with the Pogues in Australia in April 2012. 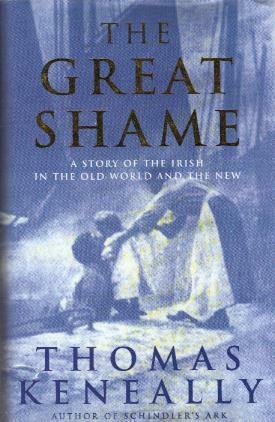 The Great Shame: A Story of the Irish in the Old World and the New. Thomas Keneally. Random House, 1998. 732 pp. My Martin and O’Neill forebears who came to New Zealand between 1860 and 1880 were among millions who departed Ireland in that time. 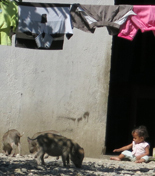 What drove them here, what were the politics of the time, and what attitudes would their children in new lands inherit? Thomas Keneally’s sweeping account of 80 years of Irish history provides some answers. Keneally, an Australian writer more known for fiction such as Schindler’s Ark, which Steven Spielberg turned into the film Schindler’s List, began this massively researched book with the details of his own family’s history. Hugh Larkin, an Irish peasant protester, was his wife’s great-grandfather. ‘I thought that by looking at him, I could see the whole DNA of Irish grievance and also of Irish experience in the new world,’ Keneally said in an interview after the book’s release. Larkin was transported to Australia for life for agitating over land in east Galway. He was a Ribbonman, a member of a secret society like the Whiteboys and the Rockites that Irish peasants formed to protect themselves against landlords and bailiffs. After tracing family members, Keneally moves to political exiles from the 1848 rebellion and so into the international movements and politics of the time. So, for instance, we end up in the American Civil War, where Irish rebel Thomas Francis Meagher became a Union general and later governor of Montana. Keneally says he was surprised to discover how pervasive the Irish freedom movement was among the 19th century diaspora. In 1876, the money to rescue Fenian prisoners from the penal colony in Western Australia was raised in New York, Chicago, San Francisco, Los Angeles, Australia and New Zealand. ‘It seemed to be a secret operation but one in which the entire Irish world was involved,’ he says. A passion for politics marked the Irish wherever they went. Deprived of political power in Ireland where less than 2 percent of the population had a vote, the Irish found the political room to manoeuvre in the new world exhilarating. Politics in New York, says Keneally, was everything the Irish enjoyed: ‘Intimate, them against us tribal, and based on getting one’s own people into some, any, public post.’ They became geniuses at creating political machines. The concept of ‘getting the vote out’ was an Irish one. Keneally is a novelist so his writing remains urgent and intimate over 700-plus pages. The Great Shame is a wonderful account of what the world was like when our Irish ancestors arrived on these shores. Have you read any good Irish-related books lately? Send in a review, or any comments on the above welcome. This entry was posted on Sunday, November 20th, 2011 at 11:54 am and is filed under Books. You can follow any responses to this entry through the RSS 2.0 feed. You can leave a response, or trackback from your own site.